This, our latest guest post came about on the back of a Twitter exchange after Colm’s most recent post, The Smiths in Cork, 1984 That exchange included contributions from Denis Carroll, a massive fan of The Smiths and Morrissey, who posted some great pictures and told a great story in the form of a number of tweets. We asked him if he’d like to expand on his tweets and tell the story in long form. He did. And here is the result. Thanks Denis! My name is Denis Carroll, I am aged 55 and from Cork. I got into music in the early 70s, my favourites being T. Rex, Marc Bolan and David Bowie. I was obsessed with T. Rex and Marc Bolan, buying all their records and any magazines within which they featured. In late 1983, after seeing The Smiths on Top of the Pops, I became a massive fan of the band, and in particular Morrissey. 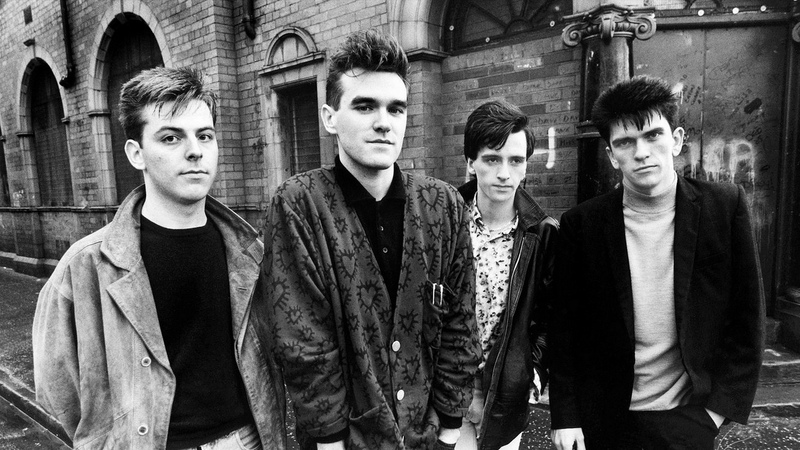 The Smiths have become the band of my life! I have seen The Smiths live twelve times and Morrissey over 100 times across the world. 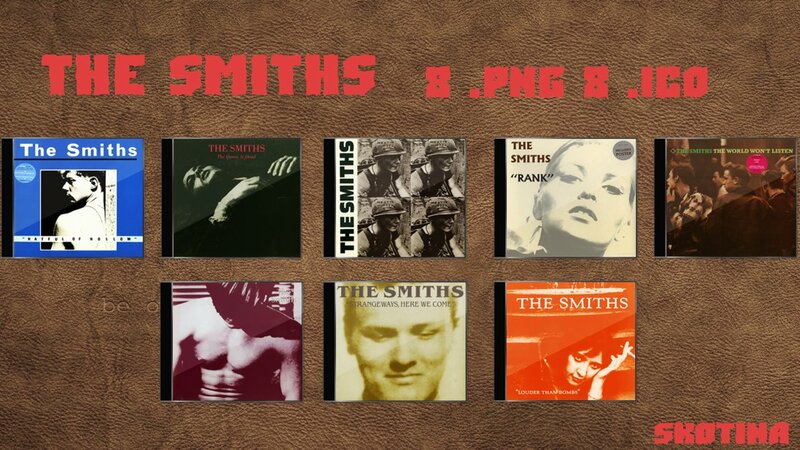 That Sunday afternoon [18th November], I went into the hotel with the first two albums – ‘The Smiths’ and ‘Hatful of Hollow’ – under my arm, hoping for them both to be signed. I waited for an hour or so while listening to the chants of 40/50 Smiths fans outside the main entrance. Word got to the manager of the hotel that the band did not want to enter the hotel through the main entrance and asked was there another entrance that could be used? The manager informed them that yes, there was a back entrance on the street behind the hotel and instructed them where to go. He also informed them that someone would be there to meet them to bring them through the hotel…..and that someone was me! I arrived at the back entrance to find the band and one or two other people waiting to be left in. I introduced myself to all four members of The Smiths and en route to their rooms, chatted with them about the two albums and that night’s concert. They signed the first two albums for me, in full (Image 3). That night’s concert was one of the best Smiths shows I saw, only slightly marred by some idiot spitting at Morrissey while on stage. After the show finished I went back to the hotel, where I met with all four Smiths members and Morrissey, who was really upset by the spitting incident. The band all signed the ‘Hatful of Hollow’ promo poster for me (Image 4). Morrissey proceeded to go to bed while the rest of the band went on to party in the nightclub of the hotel. My next encounter with Morrissey was on the afternoon of The Smiths’ final Dublin show in the National Stadium on 10th February, 1986. While walking along Grafton Street, my three friends and I bumped into Morrissey and one other person. Morrissey stopped to talk to all four of us for about 10/15 minutes about that night’s Dublin show and mentioned that they were eager to have a Cork show also but could not secure a venue for that particular tour. Morrissey asked us if we were going to that night’s show in the National Stadium and of course we told him ‘yes’, that three of us had tickets but that we were short one ticket for my, friend Tony. We then said our goodbyes. When we got to the show that night Tony went to the box office counter only to be told Morrissey had put his name on the guest list and was escorted to a great side-of-stage seat, while the rest of us proceeded back to the seated area in the main auditorium. My final encounter with Morrissey was on 27th July, 2011 in the Hayfield Manor hotel in Cork city. just before his show that night in The Savoy Theatre. I hung around the reception area of the hotel for a number of hours that afternoon in the hope of meeting Morrissey ;- when finally he appeared, he was being escorted to his waiting car to take him to the concert venue. As he was just about to sit into his car, I approached him for an autograph and picture; he got back out of the car and signed a number of CDs and also posed for some pictures with me (Images – top of post). I spoke to him about that night’s show in the Savoy and the two Vicar Street [Dublin] shows that I was also attending later in the week. He was extremely polite and friendly and gave me a grand wave from the back seat of his Mercedes as he sped off to the show. THE SMITHS. AND MY MOTHER. I was born, luckily, to a mother who adored music. I remember many occasions during my childhood when she’d power up her old record player – and it was very definitely her record player – and stack it with a variety of old 7 inch singles and all manner of albums. It was my mother who bought me my first record – E.L.O.’s ‘Shine A Little Love’ – and it was her devotion to daytime music radio [she was the housewife in ‘housewife’s choice’] that re-inforced the message and exposed me to all kinds of wonderful. I had no idea at the time, of course, but the rose was being sown ;- in my mother’s world, and later in my own, those who didn’t have music in them just weren’t worth the effort. They were queerhawks, so you went there lightly. She introduced me, one way or another, to The Beach Boys, Marianne Faithful and The Beatles. She was appalled then, as she is now, by the more lurid aspects of rock and roll and was especially suspicious of David Bowie, outwardly at least. ‘That fella doesn’t know if he’s a man or a woman’, she’d regularly say, more to get a rise out of my father than anything else, I imagine. But she ran an honest and good home and, over the years, heartily welcomed many a passing musician who dossed down for the night. ‘How’s the boy from Into Paradise ?’, she still asks. ‘Is he still doing the music ?’. I started secondary school in 1980 and, like my friends, was happy in the haze of the chart hits of the day. I was keeping a close eye on E.L.O, who were still regulars on the hit-parade and who I had now adopted, carefully collecting their new releases while dipping into the bargain bins in search of their older material. At home, various compilation albums – often advertised on television and usually released on either the K-Tel, Telstar and Warwick labels – also helped to broaden my knowledge and expand my breath of reference. And it was here that I first got my ears around the likes of The Sweet, Mud and Gilbert O’Sullivan, all of whom I still love. But it was all a bit different with The Smiths. From the off I felt I was operating a bit more illicitly and under my own steam ;- not like any other love, this one was different. I saw them for the first time on a European-wide music show, late one weekend night on RTÉ, alongside another British group called Immaculate Fools, featured as part of a broader event showcasing emerging bands from countries throughout the continent. The short video clip captured the group performing their new single in a shed filled draped with flowers ;- I noted the name in my head and, on a Saturday morning some weeks afterwards, located a copy of ‘This Charming Man’ upstairs in Eason’s on Patrick Street in Cork. 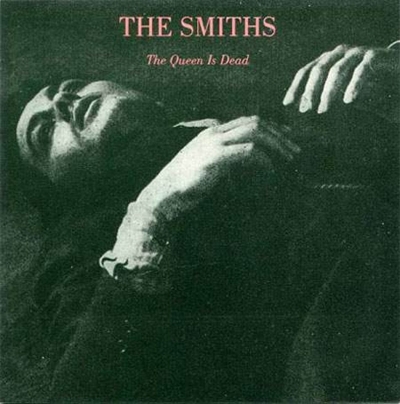 In November, 1996, the French music and culture magazine, Les Inrockuptibles , issued a one-off album, ‘The Smiths Is Dead’, to mark the tenth anniversary of the release of The Smiths’ third studio album, ‘The Queen Is Dead’ [which was actually unleashed in June, 1986]. The magazine asked ten of it’s favourite bands du jour to cover a track each from the acclaimed album ;- and so The Frank And Walters did ‘Cemetry Gates’, The Trash Can Sinatras took on ‘I Know It’s Over’, The Divine Comedy performed ‘There Is A Light That Never Goes Out’, The Boo Radleys did the title track and so on and so forth. It sounded excellent in theory but, in reality, was far from it ;- some bands should just stay uncovered. I used the opportunity of the Les Inrockuptibles release to write an easy Sunday Tribune column on October 20th, 1996. As well as re-cycling some of my own well-worn observations on the band , I asked four people – some I knew well, some not at all – to throw a light on the band by selecting their own favourite Smiths song. I didn’t ask one woman for an input, and it never once struck me that this was odd. One of the most common misconceptions about The Smiths was that their audiences were exclusively male, and from across a very broad class spectrum. And besides, I spent much of the 1990s boring other men to tears with intense theory about Morrissey, Marr and ‘the split’, most of which I’d lifted from a long-lunch I’d had with Johnny Rogan, author of ‘The Severed Alliance’ in The Long Valley bar in Cork in 1994. That Sunday Tribune column, which ran under the headline ‘The Smiths : forging an identity’, most of which we’ve re-produced in full below, was merely an extension of some of those boys-club conversations. And I’m still not sure if this was a good or a bad thing. Ask Me. Ask Me. Ask Me. And Me. There was a time and a place when everyone had an opinion on The Smiths. To many of us they were the defining popular cultural force of our – or indeed any other – generation. To others they were maudlin and self-important which, of course, suited our notions anyway and served only to make us respect them even more. And right now, ten years after the release of arguably the last decade’s most important and pivotal album, ‘The Queen Is Dead’, they are once again very much at one’s elbow. That both the band and the record have endured for so long is a tribute to their own stubborn vision and to the intensity of blind faith they culled from a heretofore beaten and tired generation. Peddling a blatant gang mentality, they played on their own terms and quit while they were ahead by laps. 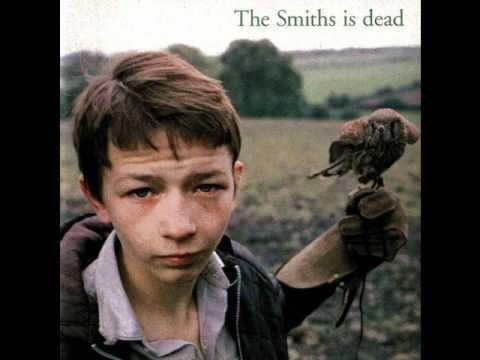 In hindsight The Smiths were the academic soundtrack of our adolescence, a conversation piece and a salvation of sorts. In Morrissey’s words and all through Johnny Marr’s masterful songs, we saw a world of underdogs and inadequates, the clinical antidote to New Romance, beach-pop and synthetics. They dealt in smug, knowing one-liners and, naturally, we believed their every word. ‘The Queen Is Dead’ made itself known to us some ten years ago, quite possibly the last record we have ever awaited so eagerly. But by this time we had already swapped-off that part of our vinyl stack which pre-dated ‘Hand In Glove’. The first ever line to their first ever single went :- ‘Hand in glove, the sun shines out of our behinds’, the gorgeously arrogant intent that was to become par for The Smiths. And that was our first taste of ‘real’ or ‘proper’ music. My friend Dónal Dineen, a television person and writer, spent his adolescence on a farm in Rathmore, County Kerry, taking his social cues – like far too many of us – from late-night radio and bad weekend television. 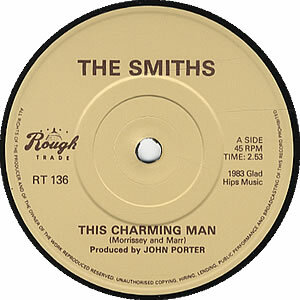 ‘My favourite Smiths song’, he admits, ‘is ‘This Charming Man’ because sometimes the best songs have the best opening lines, and this one opens spectacularly. I first heard this song, which opens ‘Punctured bicycle on a hillside, desolate. Will nature make a man of me yet ?’ having cycled to a youth club teenage disco in Killarney. Suddenly, the whole world made sense’. But The Smiths made their own rules, pushing their boat out far beyond the beyond. By the time of ‘The Queen Is Dead’ they were articulating, through popular music, with guitars and with words, everything we’d long suspected but could never actually admit. Nick Kelly, boy-wonder rock-kid at The Times, remembers the record like it was yesterday. ‘My favourite Smiths song is ‘There Is A Light That Never Goes Out’, he pops, ‘because in it’s time it gave a certain hope to all of those pale boys at teenage discos that couldn’t quite muster the courage to either dance or flirt. It should be made required listening for all teenage boys going to their first school disco’. In many respects of course, The Smiths were grossly out of time and out of kilter and yet they were very quickly essential, if only because they stimulated our every sense. Marr’s songs, even ten years on, stand any time-test, a truly spectacular and prolific canon that, with it’s sheer scope and ambition, dominates an entire musical era like a blanket on a cage. Morrissey’s words, meanwhile, have long-since become biblical and Eddie Bannon, this town’s funniest new comedian, remembers them fondly. ‘My favourite Smiths song is ‘Panic’’, he says. ‘The one where the chorus goes ‘hang the D.J., hang the D.J.’. Its basically a memory-linked thing – although having said that, I just also despise disc jockeys. But I can remember seeing them on television, on The Old Grey Whistle Test, I think, and just being completely entranced’. But by now of course, just before and certainly during ‘The Queen Is Dead’, Morrissey had assumed legendary status. Not only were his band on a very definite roll but they had long-since become a large-scale mainstream alternative, albeit one that very truly irritated our parents, sisters and, it appeared, the tabloids. This, in our book, was well cool. Morrissey gave spectacularly good copy to anyone willing to listen, and the further he pushed, then the quicker he became a celebrated cause. And we, blindly and bizarrely, just loved him. Gerard Crowley is a free-lance cartoonist. ‘My favourite Smiths song, for several reasons, is ‘Please, Please, Please Let Me Get What I Want’’, he says. ‘Not only does it have a gorgeous sleeve [later banned] but the song is suitably downbeat. Up-tempo songs generally make me depressed, and this is truly beautiful. Johnny Marr’s mandolin wouldn’t be out of place on the ‘Cinema Paradiso’ soundtrack. It’s that good’. All of which leads – in a circular and misty-eyed way, I know – to this. At the end of this month, the French rock music monthly magazine, Les Inrockuptibles, celebrates one of popular music’s most important anniversaries with a tribute album of odds and ends ;- ‘The Queen Is Dead’ as played and shaped by a quirky bin of fans and opportunists. And while most tribute records largely say nothing to anyone about either self or life – often no more than record-label hi-jacks and credibility cash-ins – it’s pretty cool to at least see something from our own petty histories come back and shame us and enthral us in equal measures and in all of the best possible ways. It’s weird, I know, but they really probably were our very own Beatles. That, at least, is my excuse.